There are three main types of visas – Tourist Visas, Work Visas, and Student Visas. Have visa questions? Of course you do! They’re probably just one of the many that come to mind when deciding to travel the world. Questions like how you’re going to find a job to support yourself on your travels, how you’re going to get from the airport to your accommodation and, well, where you’re going to stay for those first few days in your destination country! The Global Work & Travel Co. will not only demystify all those pesky visa questions for you but-when you choose one of our fabulous work & travel packages – will also provide job opportunities before arrival, ongoing travel/employment support, airport transfer, initial accommodation, and so much more! Click here and let The Global Work & Travel Co. do the dirty work for you! 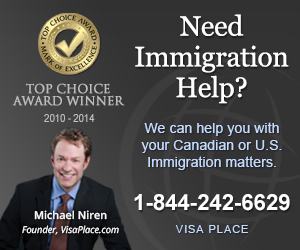 Most countries do not require Canadians to have a visa for visits of less than three months. There are some surprises however, which include Australia, Cuba and the Dominican Republic. For a full listing of countries that require Canadians to have an entry visa please click on the following link: Find the visa you need online. If the country you wish to visit is not on the list, you should be fine with just your passport. You cannot be employed in any capacity whilst on a tourist visa. Need a tourist visa? Click here and we’ll help you get one! A passport that is valid for the duration of your course. Need a student visa? Click here and we’ll help you get one! The amount of paid work you can do while studying abroad varies from country to country and the regulations should be checked carefully. The United States, for example, forbids any sort of employment for foreign students. The United Kingdom, on the other hand, makes provision for 20 hours during term time and full-time work during holiday periods. If you are moving to a country that does not allow student employment, you will have to think carefully about how you will pay for your life. More information can be found at the consulate of the country you will be moving to. Click on the following link to find out contact information. A work visa must be arranged for your overseas employer. It is quite difficult to arrange unskilled work in Europe because your employer has to be able to prove that there is no one else in the European Union (essentially, the whole of Europe) adequately trained to do the job. Arranging this sort of visa can take a quite some time and be quite expensive. The costs are usually borne by your employer. Once you have acquired one, you will be able to live and work as a citizen would. The visa is tied to the employer though, so if you change jobs, you’ll have to get a new one. Need a work visa? Click here and we’ll help you get one! Many countries offer a youth work exchange program to allow young people to work and travel for up to two years. For example, if you wish to work in the UK, you can get a working holiday visa for up two years, which will allow you to work fulltime. If you can arrange accommodation and employment before you apply for your visa, it will expedite the process considerably. Click here to get a Working Holiday Visa! Click here for help in obtaining a visa for your destination.